COOPENOIX welcomes the success of the General Meeting of September 4, 2018. 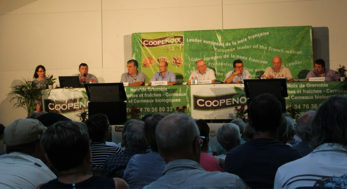 Many producers and members of the cooperative had answered present at the annual meeting of COOPENOIX. The cooperative's technicians also had the opportunity to make a very interesting speech on the climate, and the health of the orchards at the event.